“In the last ten years, more than 4,000 children, woman, and men, have died trying to come to this country to work jobs that no one will take, to be with a family member, to flee horrific brutality, violence, and death in their home countries,” O’Rourke said, falsely claiming that Americans are unwilling to take blue-collar U.S. jobs. 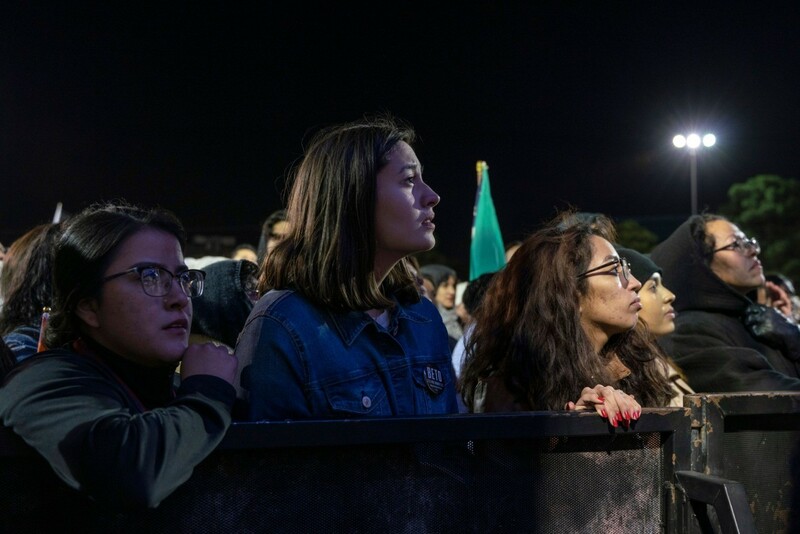 O’Rourke railed against border walls at the U.S.-Mexico border while enjoying personal security at his rally. 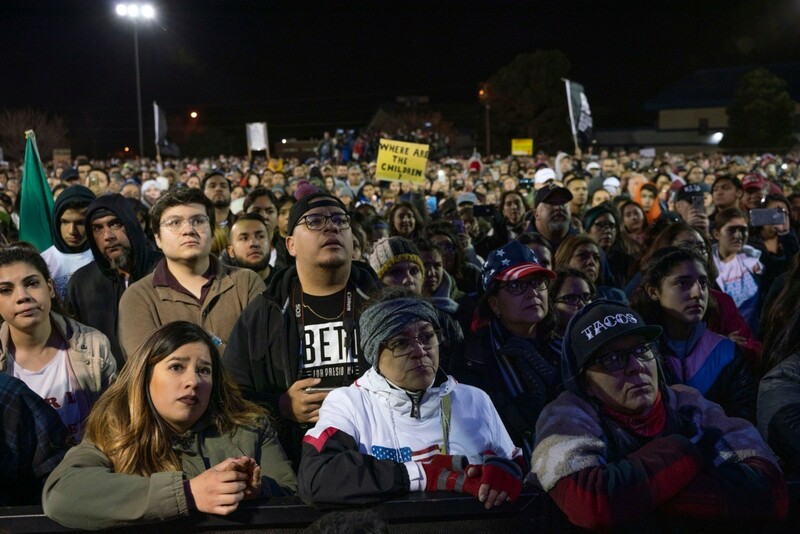 Located at the Chalio Acosta Sports Center in El Paso, O’Rourke’s rally came with baseball field fences — already on the property and not placed there by O’Rourke’s staff — that walled off onlookers and kept the congressman’s stage secure from the back. 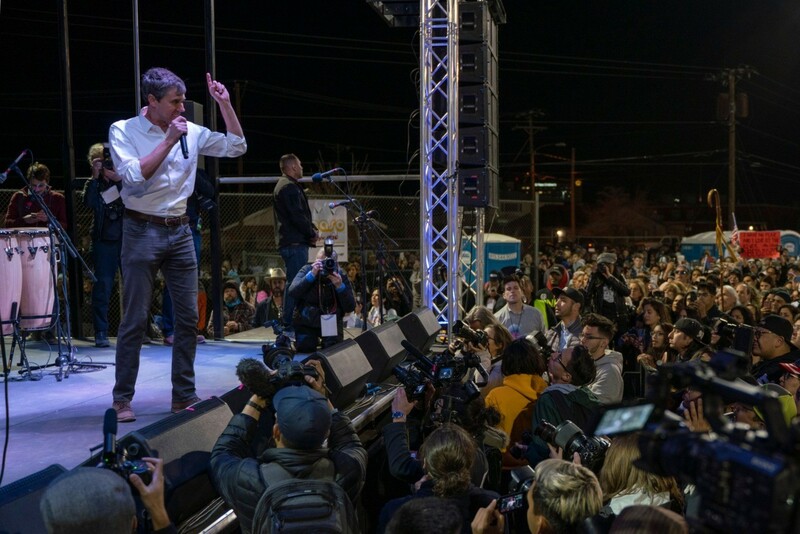 The fence can be seen behind O’Rourke while he spoke on stage. 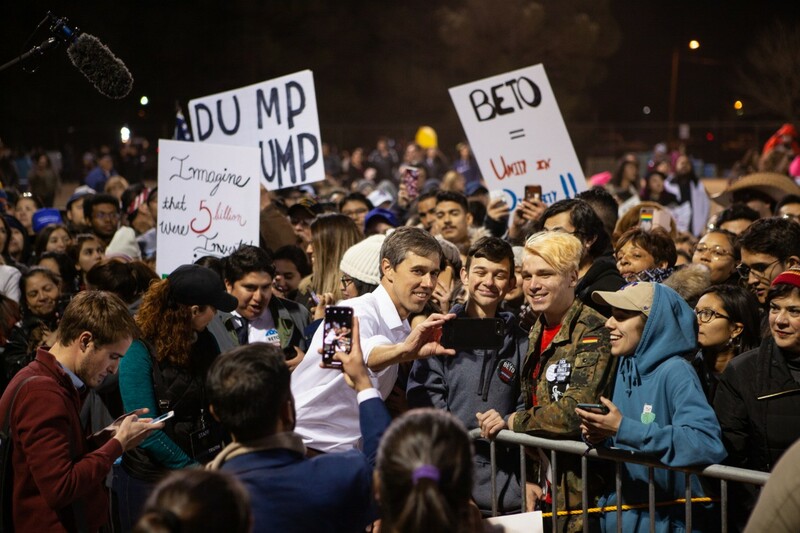 Additionally, supporters were barricaded away from O’Rourke’s stage behind traditional metal pedestrian barricades and crowd control walls, similar to those used at sporting events and concerts. 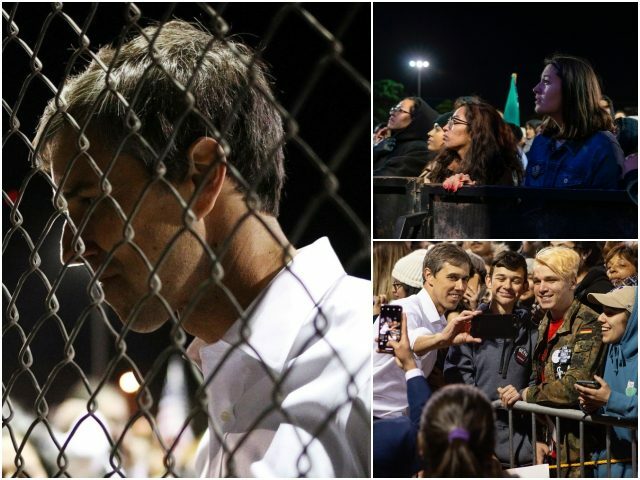 O’Rourke’s walled off supporters can be seen in photos, where rally-goers grip to the front of the barriers and even take photos with the congressman while standing behind the barricades. At O’Rourke’s “March for Truth” in El Paso leading up to his speech in the evening, the Texas congressman spoke to supporters on a small stage surrounded by yellow security tape to keep marchers at a distance. 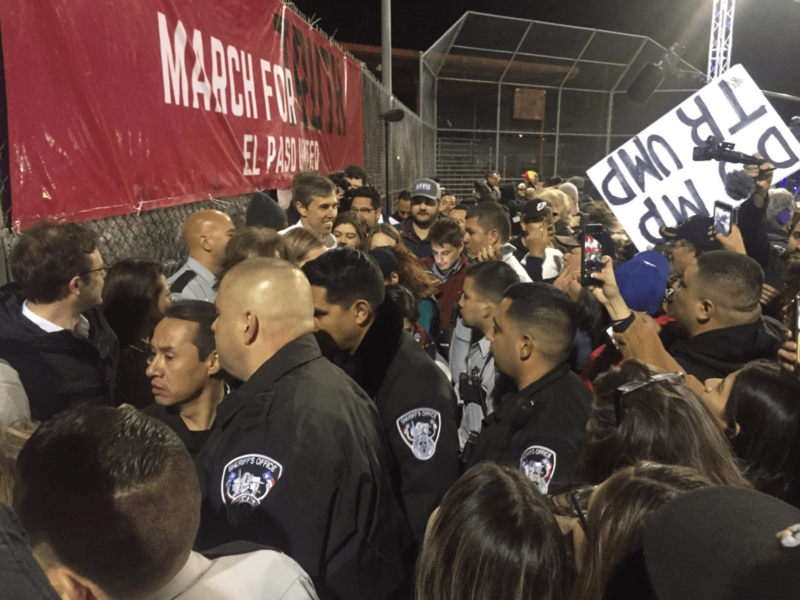 Photos posted online by attendees show the security perimeter created at the march which O’Rourke stood behind. As Breitbart News has chronicled, anti-border wall lawmakers and donor elites have readily used fences, walls, and barriers to protect themselves and their properties from the public. Most famously, the Democrat National Convention (DNC) in 2016 used massive crowd control walls to keep protesters out off of the property. 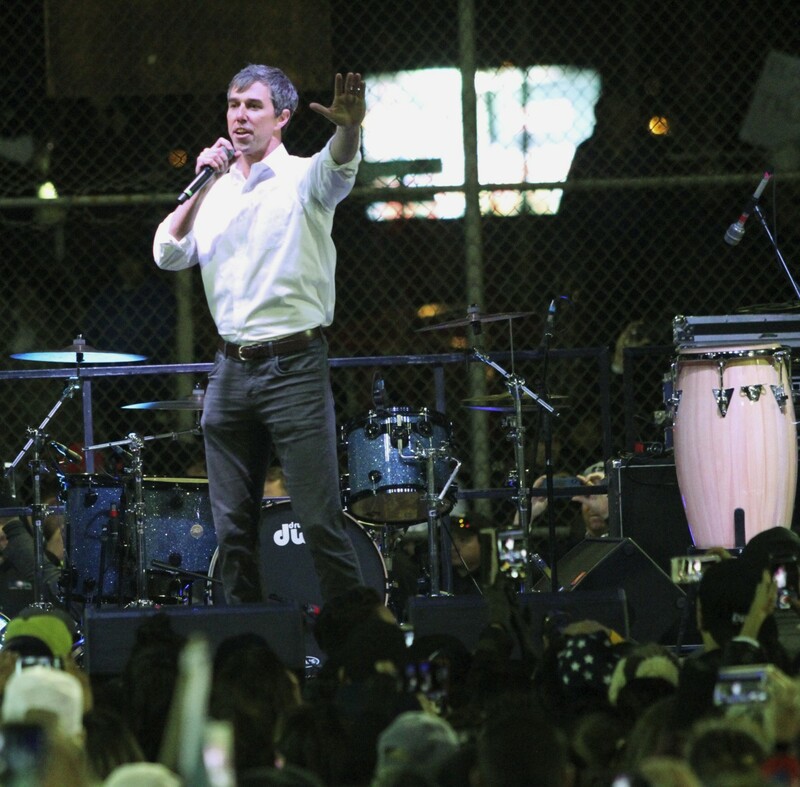 While O’Rourke opposes Trump’s effort to secure the U.S.-Mexico border with a wall, illegal immigration at the southern border is expected to reach levels that have not been seen since President George W. Bush. Researchers project, at current rates, there will be more than 600,000 illegal aliens apprehended at the border this year. 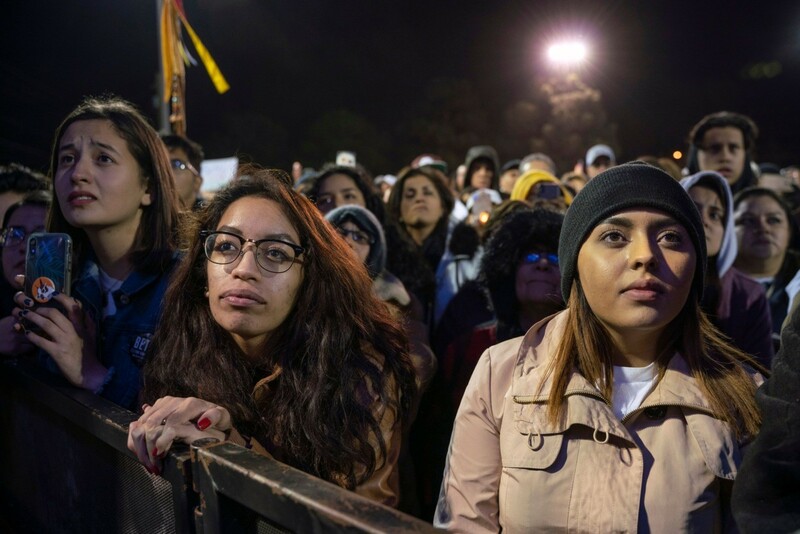 In December 2018, there were about 51,000 border crossers apprehended.